An original "laboratory", Anne Hildago, and their fight for urban swimming in Paris. Swimming in the Seine has long been considered a rather appalling activity among Parisians. Despite this near universal opinion, more than 1500 people attended an event called Fluctuat, held on August 28th. 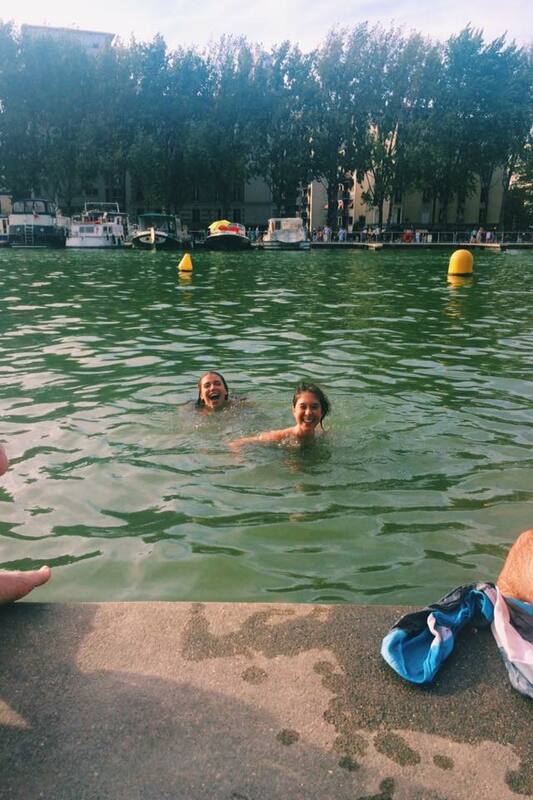 This event, organized by a collective called Laboratoire des Baignades Urbaines and the FFN (Fédération Française de Natation), allowed swimming in the bassin de la Villette, located in the 19th arrondissement. The Laboratoire, founded in 2012, had organized similar events in the past, yet the turnout and exopsure of the Fluctuat had never been so impressive. More importantly, the activity had never before been legal. The collective's main goals are to sensitize Parisians to urban swimming, and, more importantly, to make it universally legal–not just for a special occasion. They argue that it would add to the cultural development of the city, as it has done in many other large cities, such as Copenhagen, London, or Amsterdam. This project is quite difficult to achieve, as the bassin de la Villette is one of the only bodies of water where it would be safe–and possible–to swim, and as the movement has resulted in a near constant battle with municipalities. Indeed, the Mairie du 19ème seemed reluctant of the project, afraid of the disturbance it may cause to its residents, and of the safety of the canal's waters. Anne Hildago, Mayor of Paris, also expressed interest in the idea, with a different goal in mind: the Olympics of 2024. As she wants Paris to be chosen for the games, she deems it necessary to clean up the city's water for athletes to be able to safely swim. In order for swimming to be legal, Paris is required to take continuous efforts to clean the water. Hildago has tackled this head on: she has employed a "Seine committee", who will be in charge of the extra cleaning measures. She has already made it possible for professional and amateur swimmers to participate in a swimming competition, which took place in the morning of August 28th. The cleaning will be a turning point for the issue, as the Mairie's main argument against legalization is the health risk to Paris's residents. 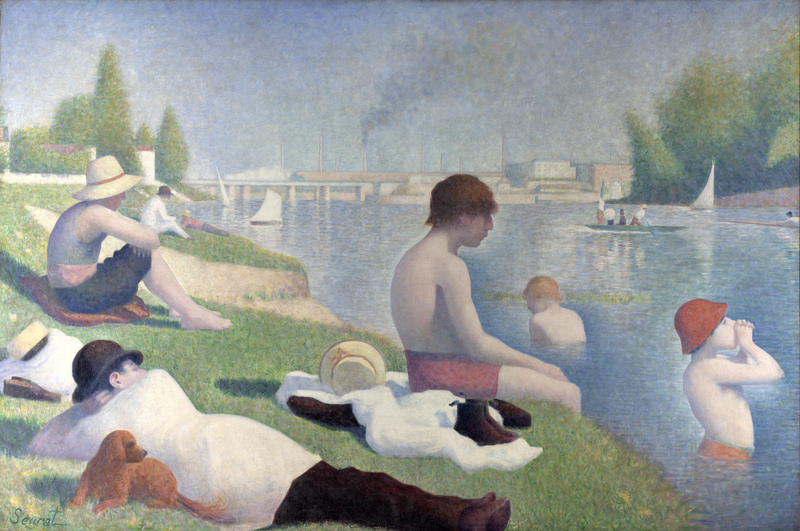 Image Credit: Wikipedia/Georges Seurat, "Baigneurs à Asnières". Ultimately, the idea is for Parisians to reclaim their waters, and start using them culturally and socially, as they did up until the sixties (despite the Mairie's official interdiction in 1923). Jacques Chirac was also a fervent believer in swimming in the Seine, and even said he would be the first one to swim in it when it became possible. Although there are many steps to take and quite many obstacles to go, collectives like the Laboratoire, with the powerful help of Anne Hildago, have allowed for this project to grow and become more and more realistic: it is predicted that Parisians will be able to swim in places like La Villette as early as the Summer of 2017! They have also expressed ideas for many similar projects, in the lac Daumesnil, or even at the Parc André Citroën in the 15th.